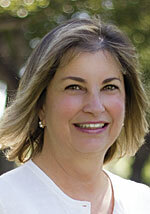 When Miami-Dade County, Florida, began using GIS 29 years ago, Mary Fuentes was there. Fresh out of Florida International University with a degree in computer science, she was hired as one of the county’s first programmers. The information technology department had five staff members—two analysts and three programmers—and Fuentes implemented the county’s first computerized budget system before she was enlisted to help develop Miami-Dade’s GIS from the ground up. But she dove right into the project. “We started to look into the technology and [analyze] what would be the best, most economical way to really proliferate [it] in the county,” she recalled. “We learned how to look at things in a totally different way”—spatially. With executive support from the get-go, Miami-Dade implemented GIS as an enterprise system straightaway, rolling it out first to the police, fire, and building departments. Fuentes was initially paired with the police department. “People didn’t know where the bulk of the crime existed,” she said. “I designed the county’s very first crime analysis system in 1988″—becoming the first programmer at Miami-Dade County to implement an app in GIS. From there, Fuentes was instrumental in getting GIS up and running in the solid waste department. The fledgling GIS team had managerial support to build a routing app for garbage truck drivers, but the mostly male field crews were resistant to the technology. They said they knew their routes and didn’t need maps. So Fuentes, still in her 20s at the time, boarded the trucks. While the garbage truck drivers knew exactly what they were doing and where they were going, Fuentes and her colleagues focused on the amount of time it took them to complete their jobs. “What if you could finish two hours earlier?” they proposed. That stuck. 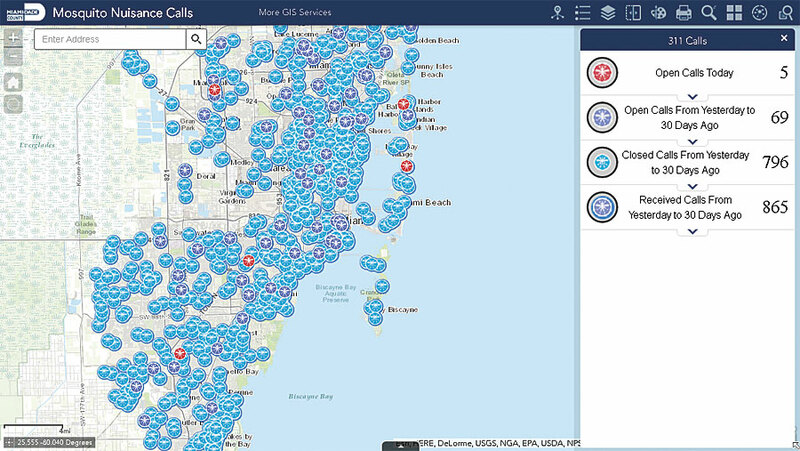 And now Miami-Dade County’s solid waste department is a huge user of GIS. And although Fuentes manages other enterprise systems as well, she says GIS is her favorite. “It’s all about the map!” she exclaimed. Miami-Dade County, which comprises more than 30 cities and around 2.7 million residents, is known as an innovator in GIS. When cases of the Zika virus emerged, Fuentes and the GIS team jumped right in to help Miami-Dade County by mapping spray zones and mosquito-related 311 calls. With that mind-set, GIS has become fundamental to everything the county government does—from managing public safety, transportation, economic development, and neighborhoods and infrastructure to administering health and human services, recreation and culture, and internal government operations. And according to several of her colleagues, Fuentes is a chief reason that GIS has been extended so successfully across the county. “She’s one of those persons that has grasped ahold of [GIS], understood it, and…can advertise it, put it out there, meet the higher-ups, and make it understood,” said Charlton Lewis, Miami-Dade’s IT/GIS manager. GIS is now an integral part of so many systems at Miami-Dade County. For public safety, it was instrumental in building a multijurisdictional 311—reportedly the first in the country—and is entwined with the county’s 911 operations. Crime mapping has evolved significantly, and a lot of it is available online. GIS helps police geolocate various kinds of crimes, and the county has created an array of apps, including one for arrest warrants that lets officers easily record where an arrest takes place, where the crime happened, where the offender lives, and where the victim lives. This is a good way to share information with other municipal departments, and it allows the police to see patterns, such as whether people typically commit crimes close to home, in certain neighborhoods, or near particular businesses. The fire department uses GIS to do things like predictive analysis and maintain fire hydrants, sending work order forms for out-of-service hydrants directly to the water and sewer department so they can get fixed quickly. There’s an app called Parks 305 that lets people look for picnic tables in any park in Miami-Dade County. And the popular Artificial Reefs app helps residents and visitors find artificial reefs to explore off the coast. “We probably have about 1,200 layers that are updated all the time in our central repository,” said Fuentes. But it’s not the layers that bring the most value to the county. Just like GIS layers are most valuable when they work together, so, too, is Miami-Dade County when it works with its citizens. “I think it’s really important to engage citizens,” said Fuentes. The county did this over the summer when cases of the Zika virus popped up in and around Miami. Much of that included working with residents. “We had to make tons of phone calls to let people know that [their neighborhoods] were going to get sprayed the next morning,” recalled Fuentes. The county also planned sprays around events. If there was a football game at the local high school, for example, the county would spray before the game. Fuentes is pleased with her department’s citizen engagement strategies and proud of having been “part of something in this county that has touched every citizen.” This is also where she sees Miami-Dade’s enterprise GIS continuing to grow. To get this done over the next few years, before she retires, Fuentes will need to continue working closely with her team members—every one of whom she admires. She will also need to continue evangelizing GIS to everyone at the county. But that’s where she excels. “She has really shown—from the mayor all the way to the IT staff and end user—how GIS can work for them, what it can do for them, and how GIS can help them get their point across,” said Madrid. 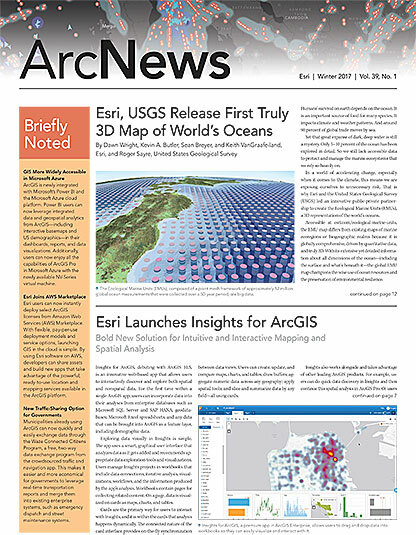 Read other articles in the “GIS Heroes” series.